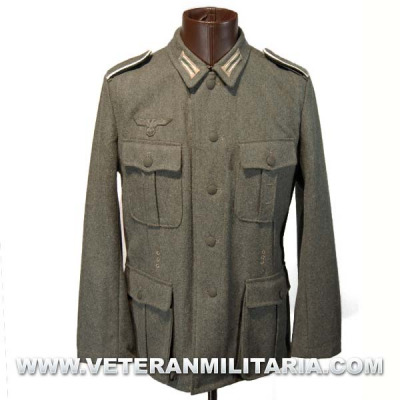 Feldbluse M40 endowment for Wehrmacht or Waffen SS, made of wool feldgrau color. 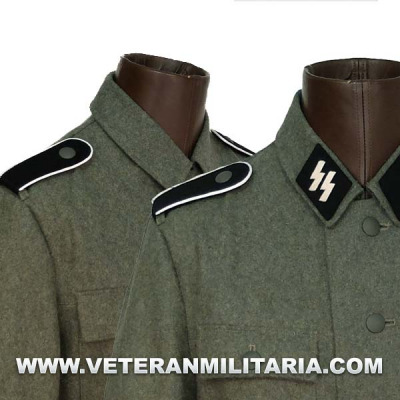 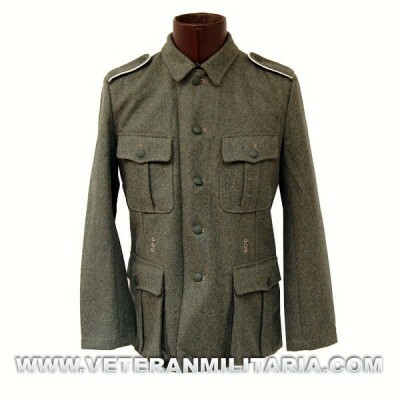 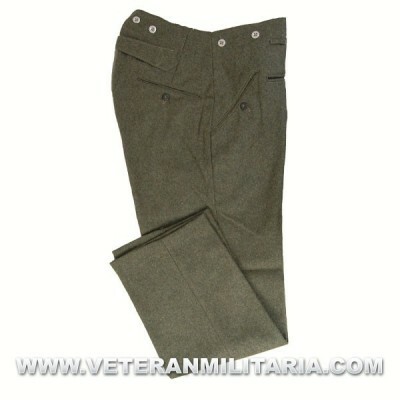 Afrika Korps Tropenbluse M40 soldier rank. 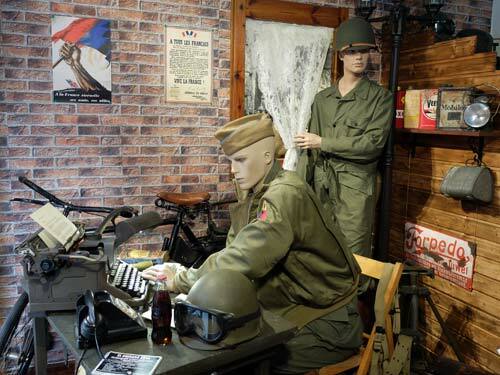 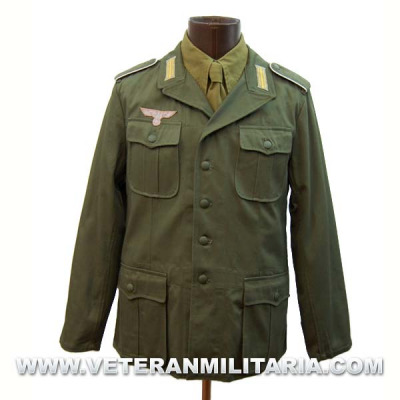 Reproduction of the Tropenbluse jacket model 1940 (M40) endowment for soldiers and noncommissioned officers of the Africa Korps, made of olive green cotton.Including The insignia • DAK Shoulderboards infantry• DAK Breast eagle• DAK Generic collar patches. 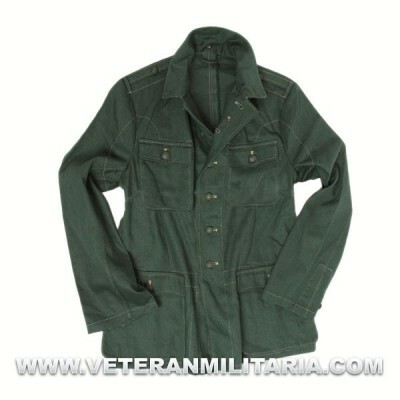 Chaquetilla corta y cruzada para unidades de carros de combate, valida para tropa, suboficiales y oficiales. 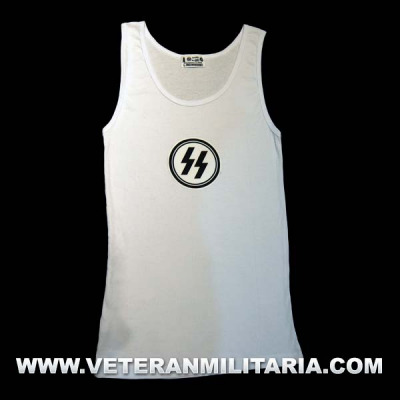 Fabricada en lana negra (80%) y forrada en su interior con algodón 100%. 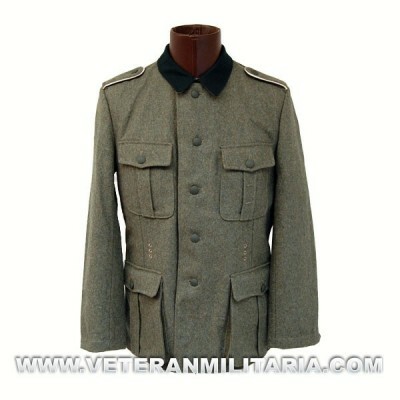 Drillichjacke of appropriations earmarked for soldiers and noncommissioned officers of the Wehrmacht and the Waffen SS, made in cotton moss green for the warmer seasons. 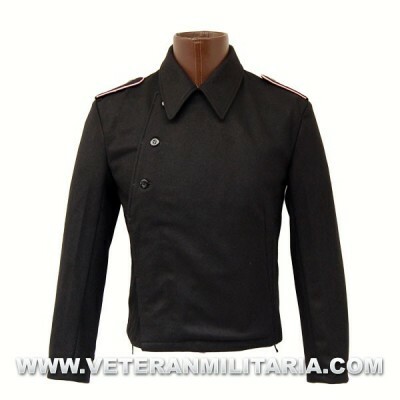 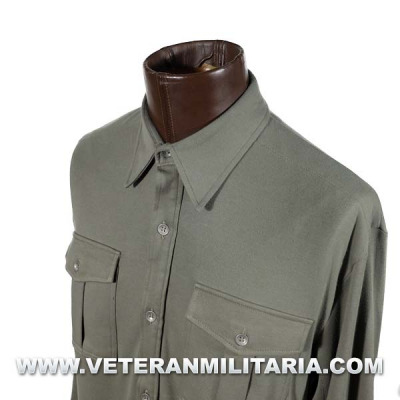 Reproduction of sports shirt Wehrmacht, made of cotton, stitched fabric logo and label. 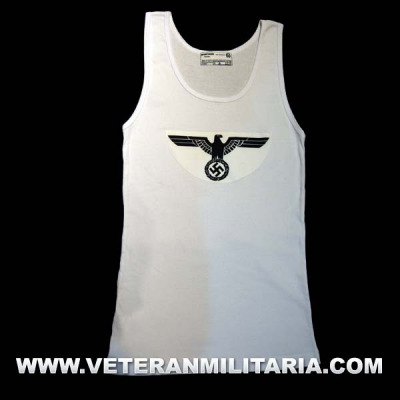 Reproduction of sports shirt SS, made of cotton, stitched fabric logo and label.